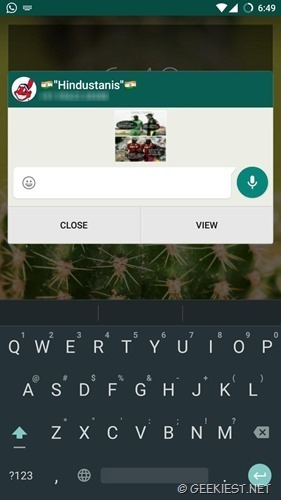 Have you heard about WhatsApp beta ? 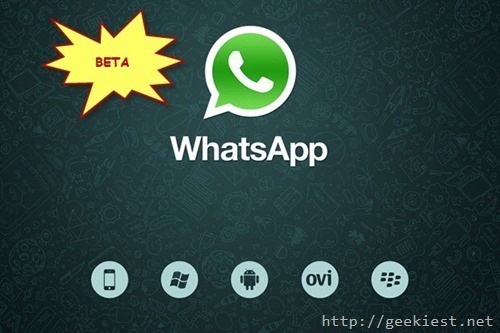 Read How to get WhatsApp beta versions. Beta versions will receive the test features first which will be available to the stable versions later. Here are the new features which is available on the beta versions only. 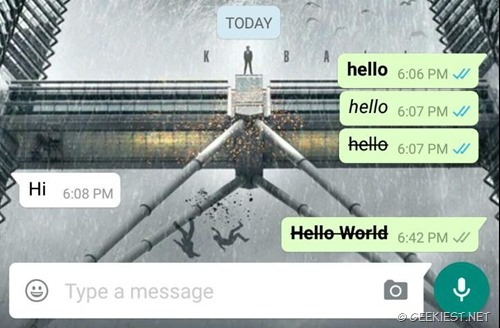 Formatting of messages : – You can now format your text messages by making text Bold, Italic or strike through. Remember if the user at the other end is not using a beta version the formatting will not be visible at their end. Another new feature is quick reply, this will allow you to reply to a message from the notification itself. 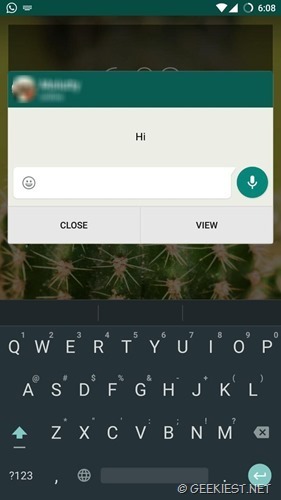 Click Reply on the notification to quick reply a message with out opening WhatsApp. The Quick reply will display the last message you received too even it is a picture message.